May 2017. 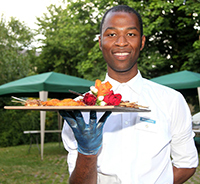 Your Invitation to Share's Summer Events. London Marathon 2017. Share Parents/Carers Meeting in May. 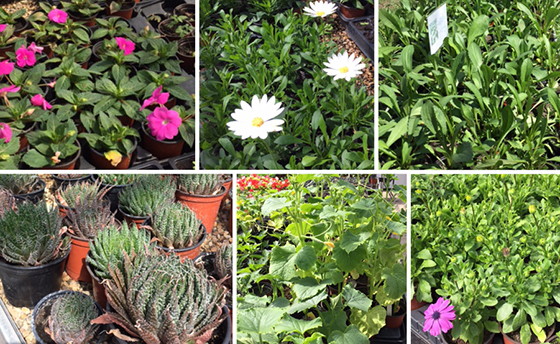 Share's gardening team have been working hard over the past few months to get the glorious Share Garden ready and looking its absolute best for a packed programme of summer events. And you're invited! With a little something for everyone, we very much hope you will join us for some if not all of these events. Tuesday 20th June 2017. From 11.30am to 3pm. 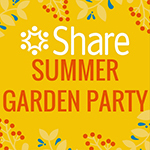 Share's Summer Garden Party. With fun and games, music and dance, for our students, their family and friends, as well as our partners and supporters in the community. And, of course, our great summer raffle with some super prizes to be won! To register for any of these events, visit Share's website at http://www.sharecommunity.org.uk/upcoming-events. 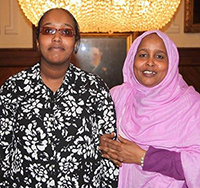 The Share Garden is based in the grounds of Springfield University Hospital in Tooting. More information on how to find the Share Garden is available on Share's website. 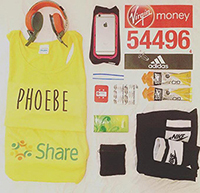 We'd like to say a huge thank you to everyone who donated towards Share trustee Phoebe Scriven's bid to run the London Marathon. With your help, Phoebe raised £2690 including Gift Aid for which we are immensely grateful, and which will help us to provide more fitness and healthy living activities for our students. And thank you SO much to Phoebe as well for giving her all in the London Marathon. 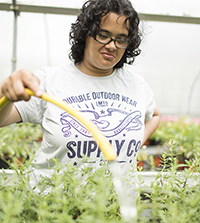 We can't thank her enough for everything she does for Share – her support and commitment to Share over the years epitomises what Share is all about, helping our community to grow to make a difference in people's lives every day. A reminder for all parents/carers of students attending Share that the next Share Carers’ Group Meeting will take place from 11.00am to 12.30pm on Wednesday 24th May 2017 at Share HQ. Join us for some coffee and cake, and share your ideas and challenges with peers and Share staff, and tell us how we can help you to support the person you care for better. These meetings take place every two months. See our website for further information and the dates of all future meetings. To book your place for the Share Carers' Group Meeting, email Annie McDowall via anniem@sharecommunity.org.uk, or telephone 020 7924 2949.